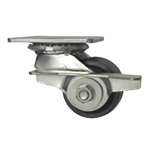 Swivel casters with brakes are the perfect solution for easily transitioning between stationary stability and mobility. 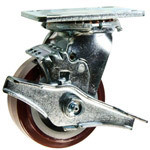 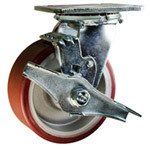 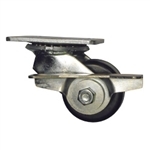 Service Caster Series 30 locking swivel casters use tough bright zinc plated components such as heat treated double ball bearing raceways, 5/8" bolted king pin, 1/2" axle bolt, and 1/4" cold forged steel top plate and fork construction. 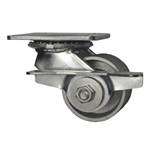 For more swivel caster options, including bearings and top plates, please call our sales team in West Reading, PA, at 1-800-215-8220.